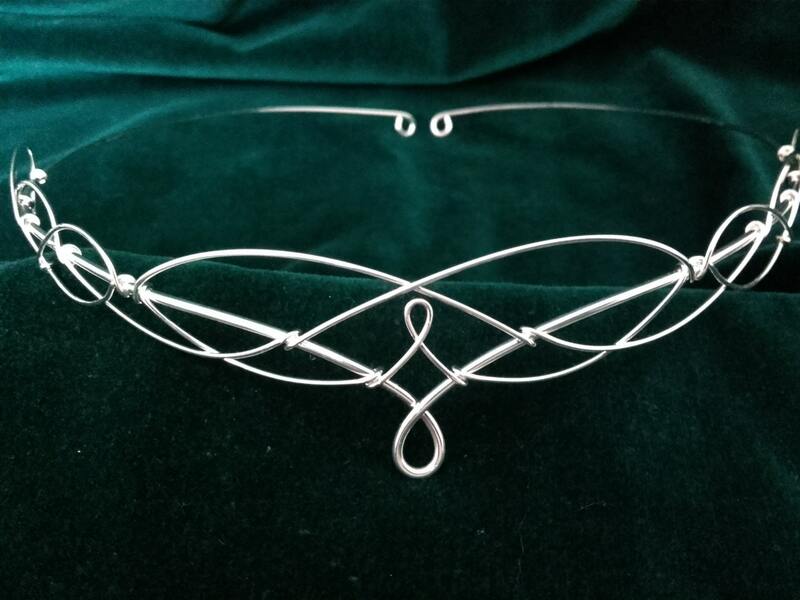 Beautiful handmade silver plated circlet, crafted from just two lengths of wire to emulate traditional Celtic knotwork. 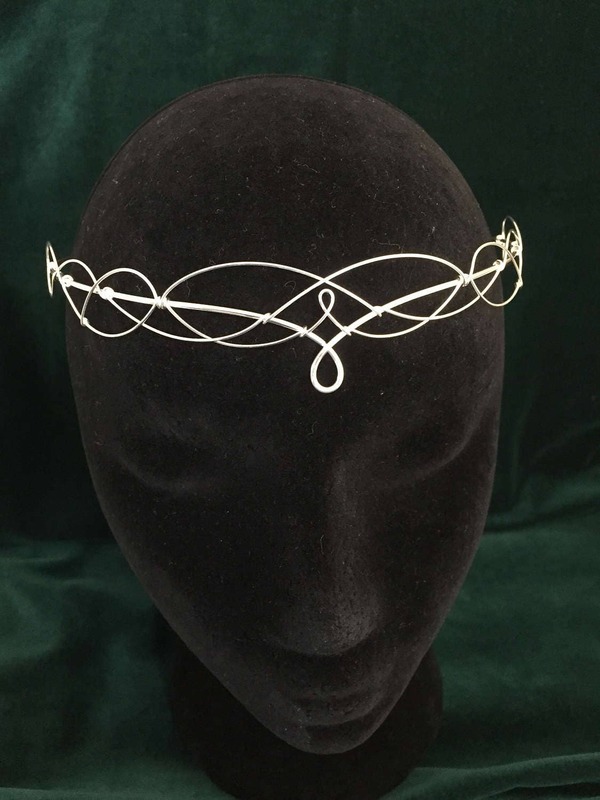 Designed to be worn over the forehead or hairline the circlet is open at the back with loops for ribbon or cords to be attached enabling the circlet to be held in place. You can also pin the circlet into place if preferred. The circlet is flexible and very comfortable to wear. 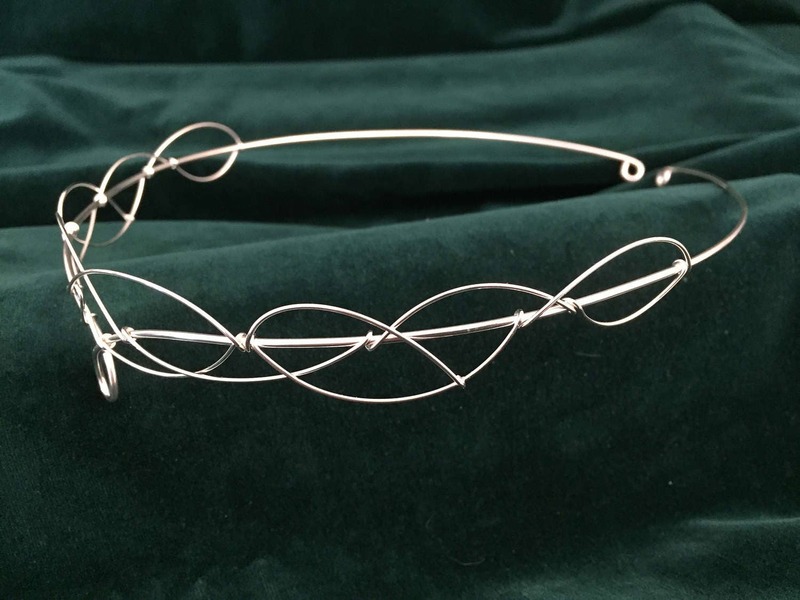 The design of the circlet measures 22.5cms (just under 9 inches) across. It also measures 2.5cms (1 inch) high at the front in the centre. The full circumference of the circlet is 52cms (20 and a half inches). 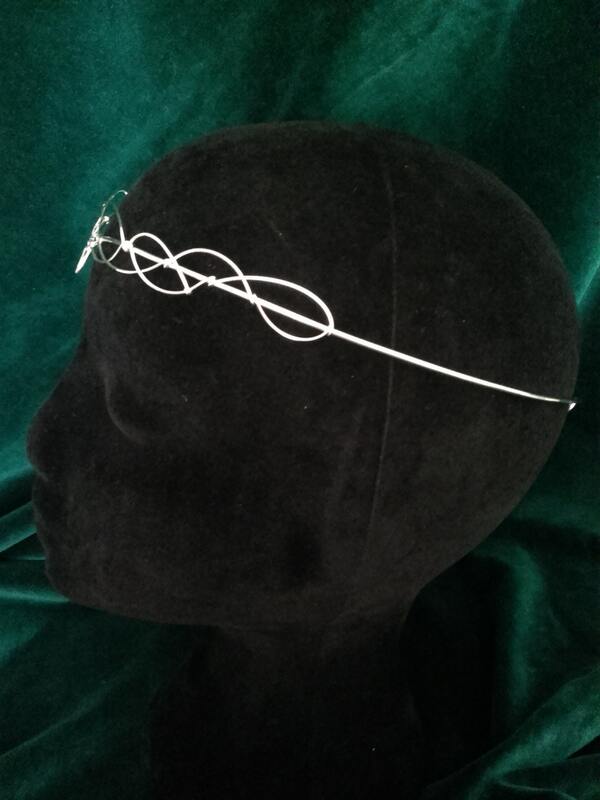 All measurements are approximate as each circlet is handmade. Perfect for weddings, re-enactment, elven, medievlal, faerie, or pagan ceremonies. The circlet is a work of art!